It has been three years today since my first post to this blog and why not celebrate it with Blogg, Gonnigan and Abby from Sesame Street’s Abby’s Flying Fairy School. I got the opportunity to work on Abby’s Flying Fairy School, I worked on render setup and render wrangling. 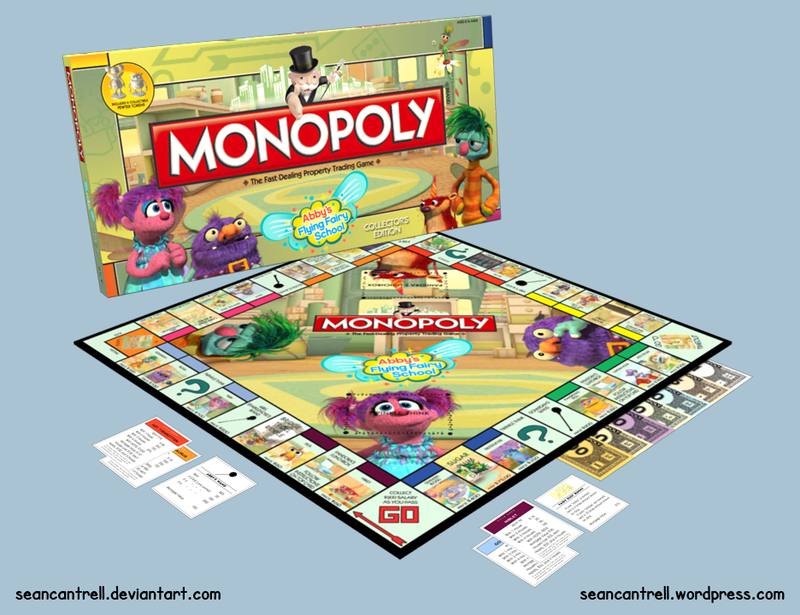 They didn’t really make merchanise for the show so I came up with how a monopoly board could look with a Abby’s Flying Fairy School theme. The spots that were streets, I just made characters from the show, they had quiet a lot of special guest characters. The railroads, I made their wands and the rest of the spots I changed to represent something from the show. I did model a simple box and board to place the textures on but most of the work went into creating the textures. Here are examples of some of the work I did on Abby’s Flying Fairy School. (0.08 – 0.24) : Fixed Abby’s skirt. (0.24 – 0.37) : Fixed the jacket, hair, and beard so they wouldn’t collide with the pirate. (0.37 – 0.48) : Added creatures to shot and animated them. (0.48 – 0.57) : Camera constrained to Mirror, Rendered out for Texture. (0.57 – 1.03) : Adjusted Gonnigan’s Hair. (1.03 – 1.07) : Posed out 3D Character to match drawing.